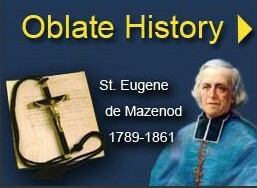 St. Eugene de Mazenod, remembering the highest point of his conversion, wrote: “Can I forget the bitter tears that the sight of the cross brought streaming from my eyes one Good Friday?” Entering into such a deep experience, the Oblates of the Colombo Province of Sri Lanka were able to help the people to encounter the Crucified Christ on March 9, 2019, at the National Calvary Shrine in Maggona. 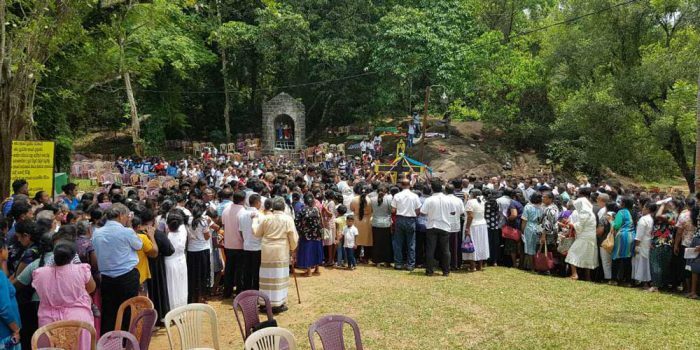 It was an important day for the Oblates of the Colombo Province, since for the first time, they invited all the faithful who are related to the Oblate family to come together for a day of prayer. The response to the invitation was very positive. 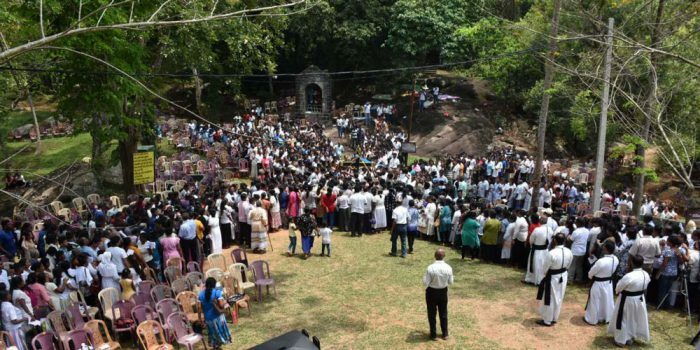 There were about 2000 people gathered at the Calvary to spend the day in prayer with their Oblate pastors. 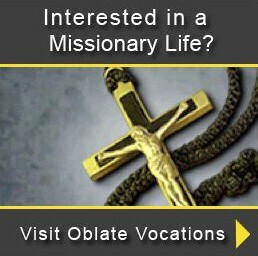 Among them were the faithful from at least 10 parishes where Oblates serve (including Buttala where Fr. Michael Rodrigo was assassinated in 1987). * the staffs of Centre for Society and Religion (CSR) and National Communication Centre. The idea to organize such an event emerged during a recent Young Oblates’ Gathering (YOG). Organizing a day of prayer was not their sole intention. They also wanted to bring as many Oblates as possible together for a common mission. 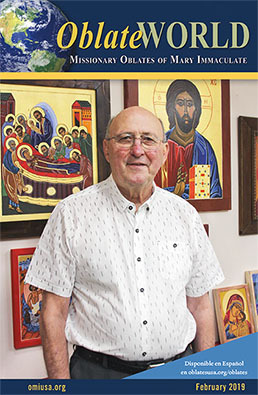 It is undisputable that each Oblate is very talented and innovative in various ways. We all do our ministries well as individuals and as communities. Yet, we have not had many occasions where we could pool all these talents together for a single project. Thus, this day was a great moment when Oblate preachers, pastors, confessors, musicians, media experts, technicians, organizers, etc., both young and old, could gather for a common mission. At the beginning, when we started the preparations, the initial reaction of many was not very encouraging. Nevertheless, as the Oblates gradually realized the purpose and the value of the event, they started supporting, cooperating and encouraging. On the day of the event, people turned up in numbers that certainly exceeded our expectation. It was a great success not only because of the number of attendees, but also because of the quality of the program. The feedback we received from the people was absolutely positive. It was also a moment when all felt the unity of the Oblate family – from Father Provincial to the youngest Oblate. All wanted to give their best. It was also a moment to recognize our family spirit and its extent. The little ceremony we had with the Oblate cross was the highlight of the day. 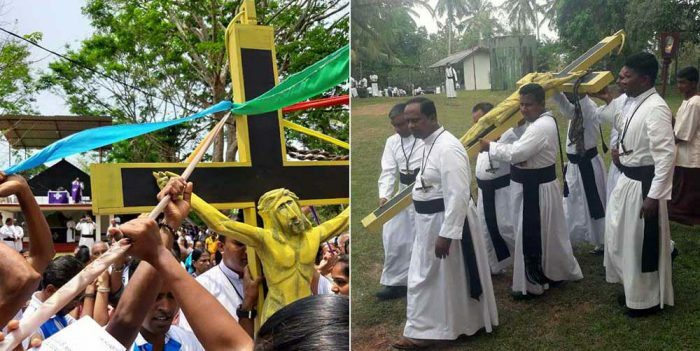 The cross was brought in procession by some Oblates and everybody was asked to hold the cords that were knotted to it. Then we all recited the Oblate prayer of consecration and felt our inter-connectedness as one family. The day brought much joy, since we were able to achieve our purpose of bringing together not only the people of God but also the Oblates ministering in different situations and environments. We wish to thank everyone who supported and cooperated with the YOG in organizing such a prayerful event during this blessed season of Lent.